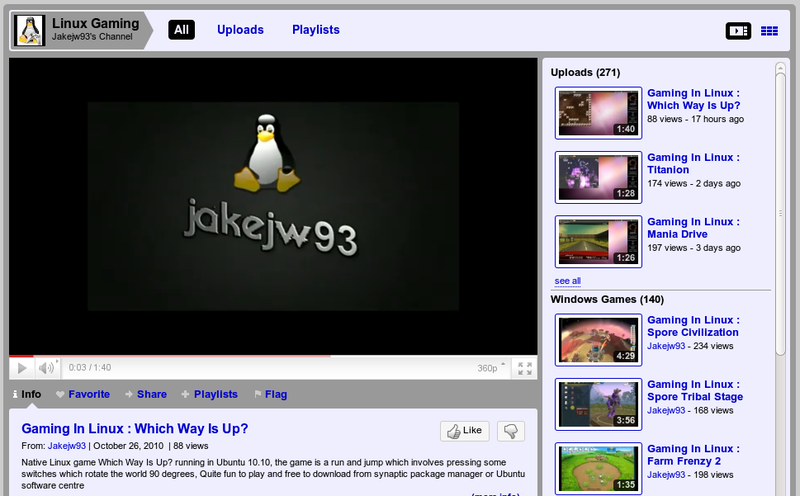 Linux Gaming by Jake Ward is an awesome Youtube Channel that covers lots of native Linux as well as Windows games that runs perfectly under Wine. 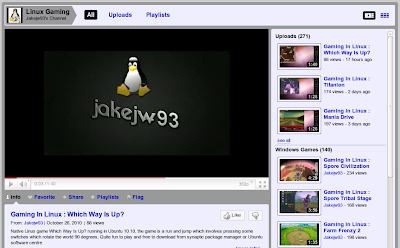 The channel neatly categorises all the videos in simple playlists for easy access like native Linux games, free games, Windows games, must have games etc. Every video on the channel is accompanied by a brief description about the game and download links if the game is free or any demo is available. One of the cool features about the channel is if you want to see some Linux game in action, just suggest it on the channel and a video on it will be up. Another thing I like about the channel is that it covers many games that are available in Ubuntu Software Center. These games while are really good, remain unnoticed to many users. So if you like a game, getting it on your system is really easy.